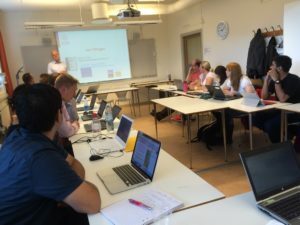 The course will have three face to face meetings of 2-3 days each, and builds on participants’ own reading and writing assignments in-between the meetings. 1st session: Introduction. Paper Design and Introduction. 2nd session: Continued writing process: Body of the Paper. About Scandinavian publishing traditions in the management, innovation and production areas. 3rd session: Continued writing process: Conclusion and Readability. At the end of the series of workshops the participant (1) has developed a thorough understanding of the structure of academic papers, (2) has trained skills in writing papers for major academic journals, (3) has acquired skills to review academic papers, and (4) has completed a paper ready for submission to an academic journal. 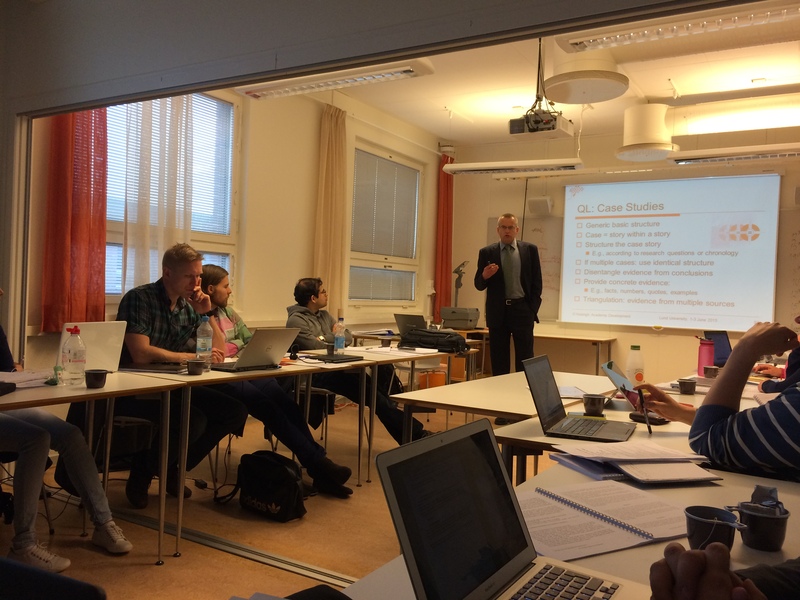 The course is part of the program Produktion2o3o, as a continuation of the Production Innovation course, and is also the first joint course of ScAIEM, the Scandinavian Academy of Industrial Engineering and Management. Introduction. Paper Design and Introduction. Host: Professor Carin Andersson (production research), LTH, Lund University. Continued writing process: Body of the Paper. About Scandinavian publishing traditions in the management, innovation and production areas. Host: Professor Mats Engwall, KTH. Continued writing process: Conclusion and Readability. Host: Professor Anna Öhrwall Rönnbäck (LiU and LTU). The participant has finished a part of the studies about which a full paper can be written (to be decided with their supervisor). Before each workshop the participant completes assignments about preparing and/or writing sections of the paper, and peer reviewing another participant’s paper. The participant has a supervisor, or co-author, who is knowledgeable about the paper’s topic and with whom the participant has a meeting at least once before each workshop. Eelko Huizingh, who has been active in academic publishing for over 30 years. He is a prolific writer with over 350 publications, including various papers in top academic journals, and editor of 20+ Special Issues of academic journals. He is founder and CEO of Huizingh Academic Development, which offers academic writing and academic research workshops, and academic coaching sessions. Dr. Huizingh is affiliated with the University of Groningen (the Netherlands), and is Vice President Scientific Affairs of ISPIM (the International Society for Professional Innovation Management). His ISPIM duties include Head of the Scientific Panel for reviewing conference submissions, and Head of the ISPIM-Wiley Innovation Management Dissertation Award Panel. Dr. Huizingh has given over 70 workshops and seminars on academic writing in more than 20 countries. These events were attended by over 1,000 participants from 50+ countries. For registration: subscribe at Production2030, or email to anna.ohrwall.ronnback@ltu.se using the subject “PM09 Produktion2030 and ScAIEM: PhD Course Get Your Paper Published”, August 31, 2017 at the latest. The course is included in the Produktion2o3o program (i.e. free of charge for PhD students in the Graduate School Production2030). For other participants SEK12 500 (excl VAT). Literature and case materials are included. Refreshments (coffee, tea) are included. Travel expenses are not included (paid by each participant). 7.5 credits. The course is given in English.